The one thing I love most about autumn, aside from the crisp cool weather and the layering of warm clothes, are the apples! 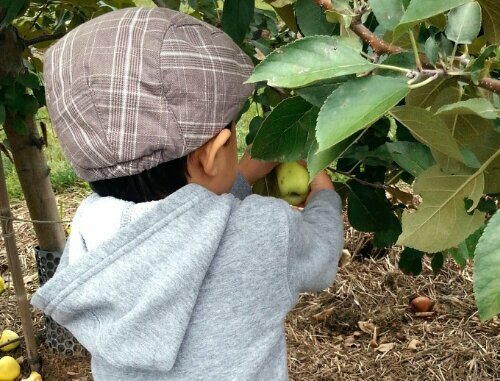 We went apple picking the other day and TheBoy had a blast picking his own fresh apples right off the tree. 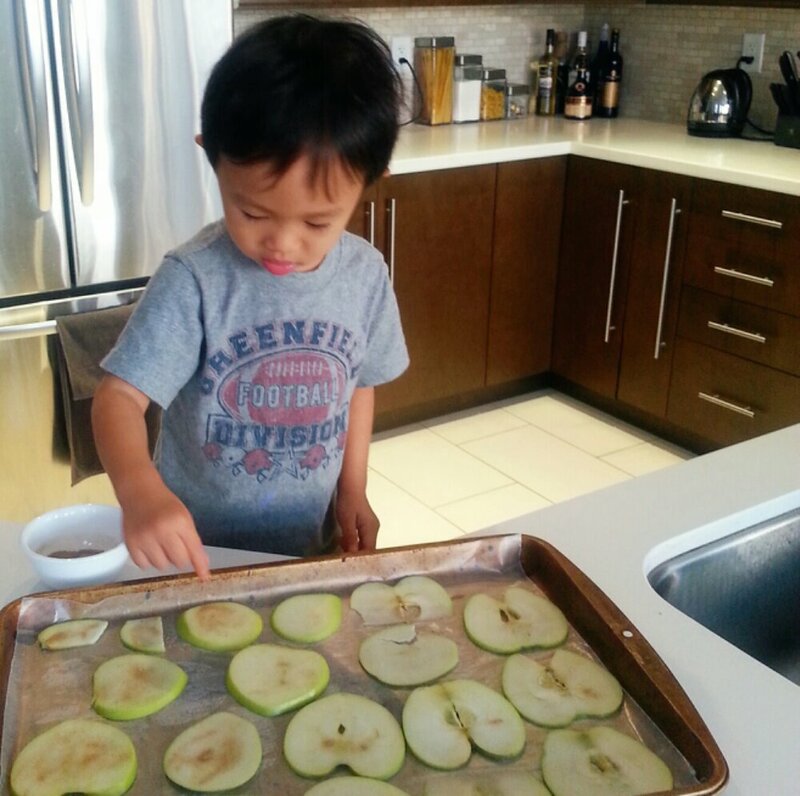 Because I am always on the lookout for fast, easy and healthy toddler snacks, I knew I had to make apple crisps for my little man to try. And boy am I glad I did. He not only loved eating them, he had fun making them too! If you are a fan of apples, like TheBoy, then you’ll love this easy recipe. As a second treat, your house will smell like sweet apples for the rest of the day! Pre-heat oven to 200F degrees. Line two large baking sheets with parchment paper. Set aside. Wash and thinly slice the apples. 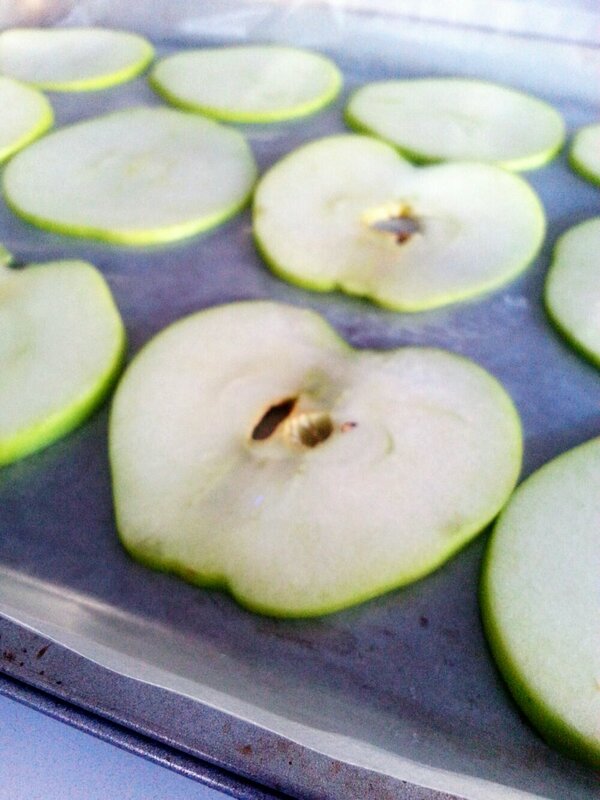 Spread the apple slices onto the baking sheets in one single layer. 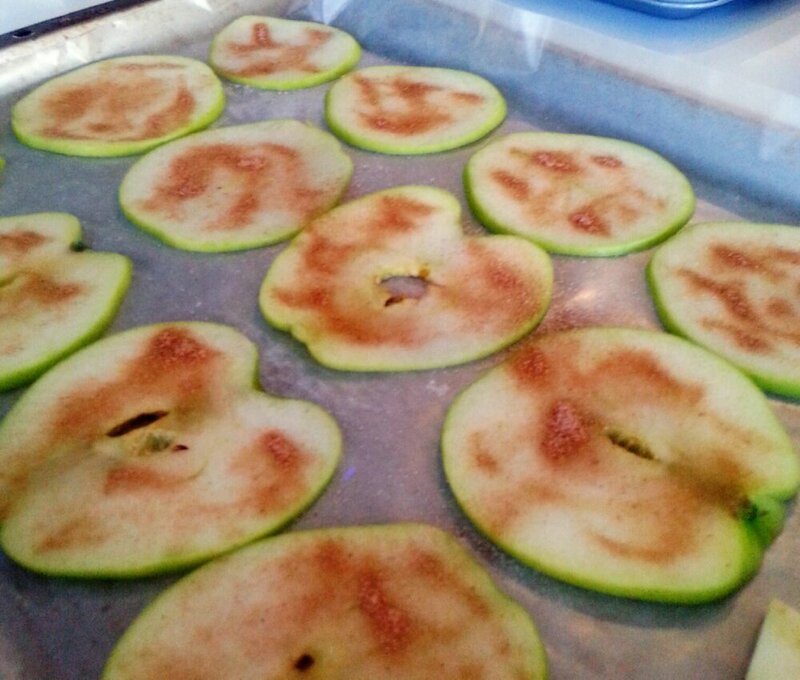 Sprinkle cinnamon on top of the apples. (If your apples are more tart, you can add some granulated sugar in with the cinnamon and sprinkle them both on the apples). Bake for an hour, flip the apples over and bake for another hour. Turn the oven off and keep the apples inside until the oven cools down. Store apple chips at room temperature in an airtight container. Note: I’ve made these many times before but they turn out different every time, sometimes crunchier or chewier, depending on the thickness of your apple slices. You might need to adjust the thickness of your slices or your oven temperature (I use a convection oven which I find to be hotter) to get the texture you desire. What are some of the healthy toddler snacks you like to make/buy for your little one?